We flew cross-country this week for full immersion into artificial intelligence, to network with great minds, and to share the Kore.ai.ai platform with thought-leaders in the AI industry. Our trip was filled with early mornings, a few 23 hour days, but most importantly opportunities to discuss advances of AI technology with other industry experts. 1. AI is not magic, but it is powerful. Artificial intelligence is data, math, patterns, and iterations. It’s training data and machine learning. It is predictive analytics. Many of the panelists and influencers we heard throughout the week cautioned against the overhyping of AI capabilities. The AI hype also often leaves out the human component. A helpful equation gleaned from the 7 Myths of AI session presented by Robin Bordoli, CEO of CrowdFlower was AI = TD + ML + HITL or artificial intelligence = training data + machine learning + human in the loop. These separate concepts have dependencies on each other and HITL needs to be in the mix. As Achalesh Pandey, Tech Leader from GE Global Research shared, “AI agents can play a big role by providing information to humans in a digestible way.” Pandey also touched on ethical issues that impact AI if the human decision making is completely removed from the equation. If you’re curious about the human component of AI, Bruce Wilcox wrote a great piece for Tech Crunch on the state of AI and the future of emotional analytics. You can read it here. 2. Businesses are excited about the big impact of AI, but should set measurable goals. The primary focus of AI for the enterprise is still more tied to data than it is some of the “dream” use cases we hear of on TV or in science fiction. 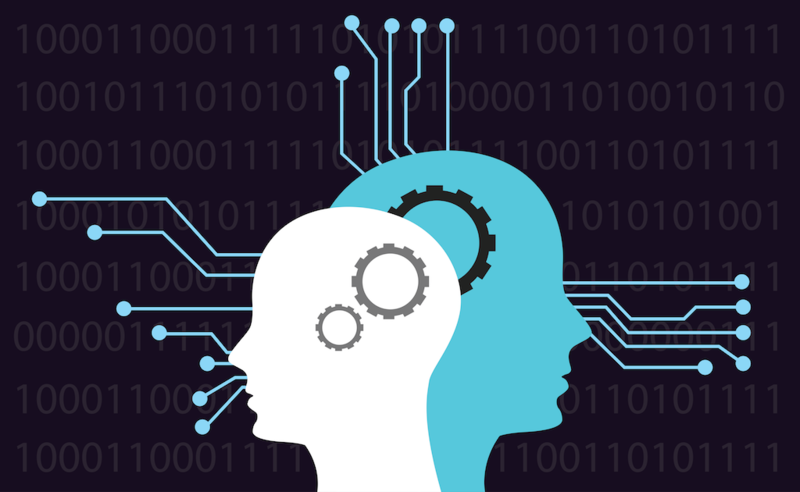 Basically, businesses want to know how to leverage AI to consume and process immense amounts of data, amounts no human could possibly take on, and use that data to take actions, make predictions, and ultimately boost ROI. Questions of technology almost always begin as business questions – matching a problem with the right technology. Like anything else in the business world, enterprise leaders caution to start small. Check our guides for ideas on real uses cases for the workforce and customers, as well as an ROI Potential Overview. 3. AI can be emotional. Yuval Mor, Founder & CEO at Beyond Verbal shared “In conversational UI, personality is the new UX.” Kore.ai.ai couldn’t agree more. For AI technology to add value in a natural way to consumers and the workforce alike, it must communicate in a relatable way in the channels people choose. Mor shared the importance of a combination of IQ and EQ in an intelligent assistant and the power of tone of voice in determining intent. Beyond Verbal leverages its millions of voice samples representing hundreds of countries to begin to understand emotions and track them over time to make decisions on well-being, overall health, sleeping, dieting, exercise, etc. Beyond Verbal notes the power of the correlation between health conditions and voice data. Emotional AI can be especially helpful in areas like remote care, smart home solutions, automotive AI, and clinical research. 4. There was a lot of talk about Bots, AI, and the future of intelligent assistants. The central question in a panel titled Bots & Beyond was: Is this natural language stuff important or is it AI Hype? Executives at Eyeris, Amazon, and Beyond Verbal weighed in. There was consensus amongst the group on what we at Kore.ai.ai believe to be the central engine behind the next wave of digital transformation, natural language. This was not only assuring, but empowering. 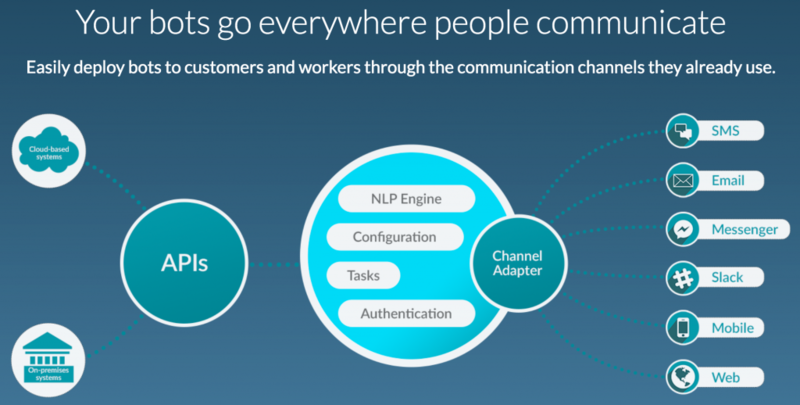 Our efforts to build a platform that brings together award-winning NLP, machine learning, and fundamental meaning are becoming a highly held value for enterprises of all kinds. 5. Bots, built on the right platform, are not just a one-trick pony. A bot that can ingest a paragraph of text (or voice) from a user and understand the intent, sub-intents, and context surrounding it is essential. According to Wilcox, many of today’s general APIs may be a quick way to obtain results, but the accuracy of their algorithms cannot reach the accuracy of tailored models. There are some challenges in machine learning related to bot development including big data requirements, punctuation and synonym understanding, compatibility across multiple bots, and users having to name individual bots when communicating. Wilcox predicts that in the future of bots: bots will displace apps, all speech recognition systems will be tolerable and improve, self-learning machine learning will improve, and everyone’s UI for defining bots will improve. AI World 2016 was an exceptional event bringing the industries great minds together to break through the hype, educate the market, and bring AI to the enterprise and beyond.